Electric shavers come in a wide range of different types with various price points. Fortunately, you don’t have to spend a fortune to get a high-quality electric shaver. 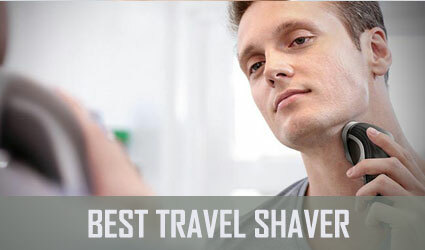 Our article is going to review 10 of the best electric shaver under 100 dollars models currently available. We are also going to rank our selections based on average user ratings and affordability. 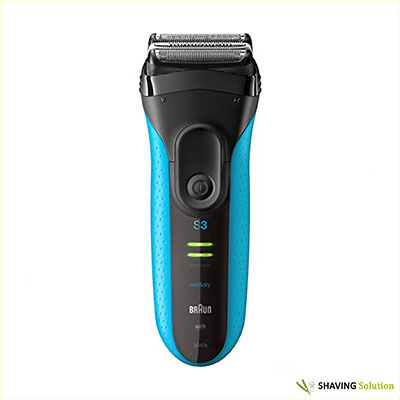 Starting our list in the number 10 slot for best electric shaver under 100 dollars is the Series 3 ProSkin by Braun. This electric shaver utilizes a foil system to trim your facial hair leaving you with as close of a shave as possible. Thanks to the five independent pressure-sensitive shaving elements, it rotates freely to match the curves on your jaw and chin area. Our only complaint is that this shaver does not feature a pop-up trimmer on the side.  However, this is offset by the extremely attractive purchase price and its lightweight design. Both new and experienced shavers will likely enjoy what this shaver has to offer. Our ninth best electric shaver under 100 dollars is the Panasonic ES3831K. Featuring a powerful motor design that has an impressive 8,500 RPM rating, this shaver can make short work of the toughest beards. 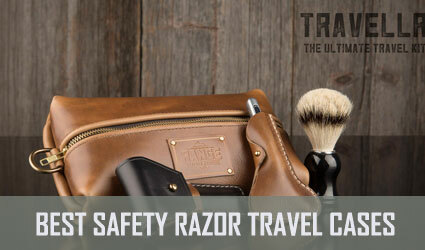 One of the nicest things about this particular shaver is that it is compact and lightweight enough for travel use. We also like that it is comfortable to use in either hand. This shaver is a suitable option for both wet and dry shaving needs too. Just keep in mind that the battery life is dependent on the quality of the two AA batteries you use with it. Interested in finding more about this shaver? 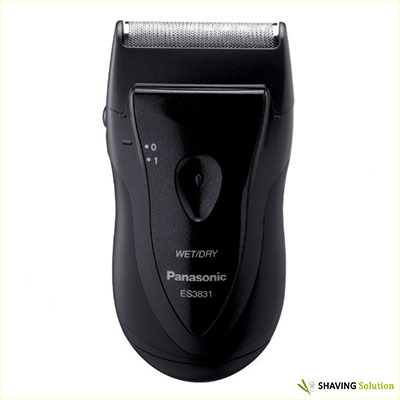 Check out our full review of the Panasonic ES3831K electric shaver. Coming in at the number eight spot for best electric shaver under 100 dollars is the SweetLF 3D. This shaver features USB quick charging technology to make sure the shaver is ready when you are. When fully charged, the shaver can run for approximately 120 minutes. As for the total charging time, a typical cycle only requires one hour. 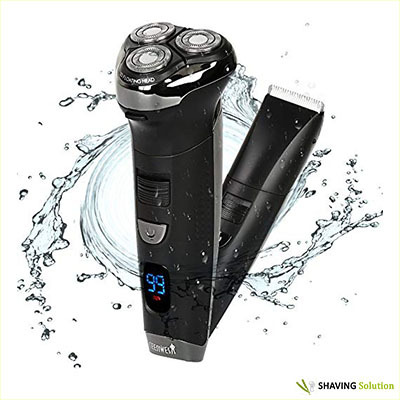 This is a rotary shaver that utilizes three independent rotating heads. As an added bonus, it also has a pop-up trimmer located on the back for your sideburns. We also like that it is designed for wet and dry use. Ceenwes is likely a brand that you aren’t as familiar with. The biggest feature that earned this shaver a spot on our list is that it functions as both a shaver and a trimmer in one unit. 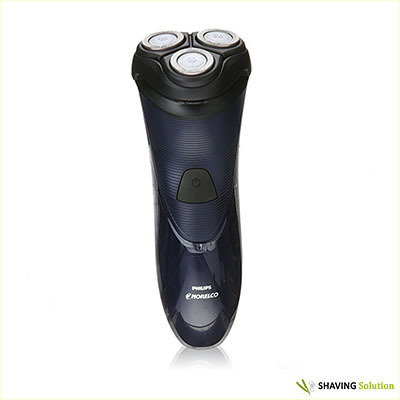 The shaver portion is a rotary type that utilizes three shaving heads. The trimmer is enclosed within and offers an adjustable guard length for achieving your desired look and style. Featuring an LED power display, you always know how much battery life is remaining. 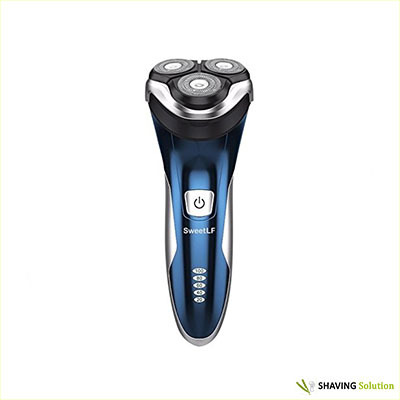 This shaver is also designed to be compatible with a wide range of shaving creams and gels. Our sixth best electric shaver under 100 dollars is the Philips Norelco 5500 series. 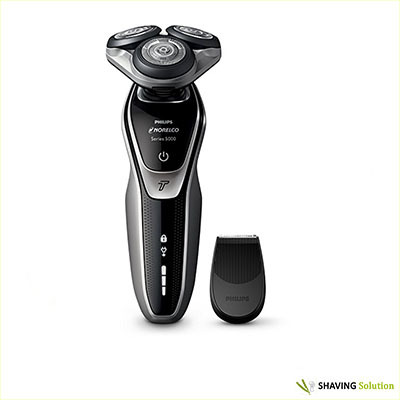 Featuring turbo technology, this shaver is powerful enough to cut through even the toughest beards. It utilizes three different rotary coils that all independently rotate in five different directions. 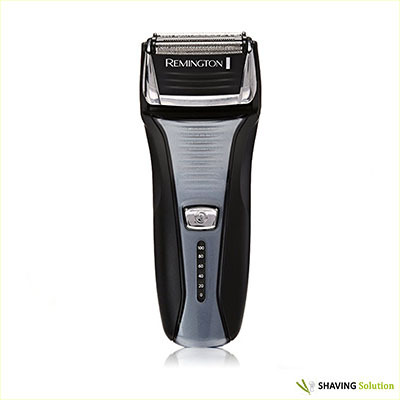 This produces a closer shave with far less irritation than many other models. Suitable for use with both wet and dry shaving needs, this shaver is compatible with most standard shaving gels and creams. It’s also very easy to clean by simply flushing the shaving heads out under running water. Another best electric shaver under 100 dollars is the Philips Norelco 1100. This model falls into the budget-friendly category without sacrificing too many features. 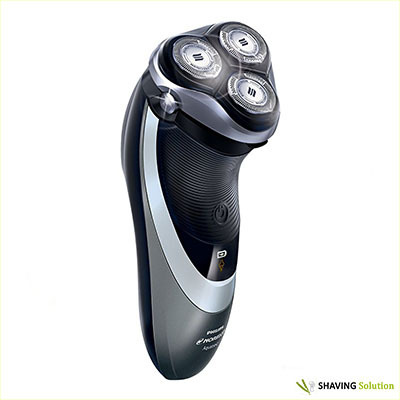 Featuring three different rotary heads that rotate in four independent directions, this shaver is more than capable of delivering a close shave. The self-sharpening blade design also ensures that the blades last for a long time. However, this is a corded shaver that must be plugged in for it to work. In addition, this shaver is intended for dry use only. Just keep those small points in mind before making your final decision. A fan of the Norelco line? You can also choose from these great Norelco shavers. Our fifth best electric shaver under 100 dollars is the Remington XR1400 Verso. Featuring unique HyperFlex technology, this shaver adapts to your skin’s surface to deliver an impeccably smooth shave. 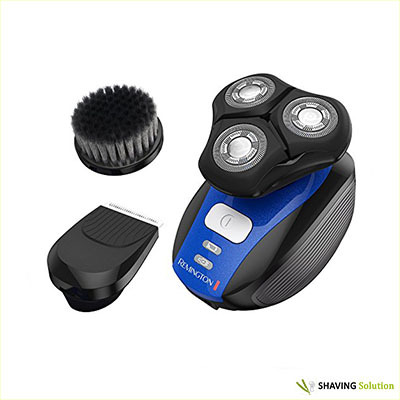 The first thing you will notice when you look at the shaver’s assembly is that the body is very different than most of the other products on our list. The reason for this is that the rotary head can be replaced with a trimmer attachment for finer detail work. It also comes with a cleaning brush to remove lodged hair. With its 100 percent waterproof design, this shaver is suitable for both wet and dry shaving needs. The Hatteker electric shaver is designed to be a flexible solution for all your basic grooming needs. 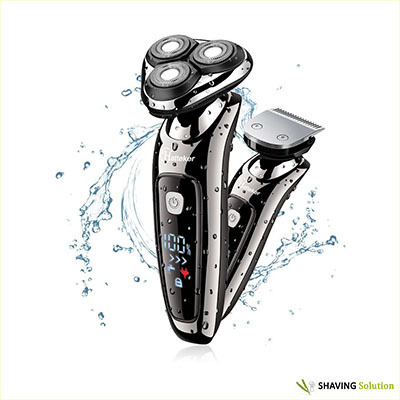 The shaver component features three rotary heads that can all independently move to adapt to your skin’s contours. Located along the bottom of the shaver assembly is an oversized LCD display that shows the current battery level remaining. For shaping needs, you simply need to snap on the trimmer attachment. 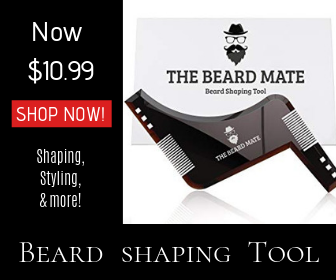 This can be used to style goatees and more with ease. The shaver is also waterproof and is designed for both wet and dry shaving needs. The Philips Norelco 4500 series is another popular option to consider. With its unique DualPrecision head design, its able to shave both short and long hairs in a single stroke. The three heads also all rotate freely to adjust to your skin’s curves with just a small amount of pressure. We also love that there is a pop-up trimmer located along the back of the unit too. Perfect for sideburns and mustaches, users are sure to appreciate the versatility that it offers. The last feature that is worth mentioning is the AquaTec technology that allows the shaver to be used either wet or dry. The Remington F5-5800 earned its number one spot for many reasons. 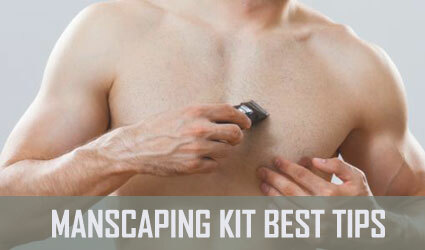 For starters, this is one of the most budget-friendly choices on our list that is suitable for both beginners and experienced shavers alike. It also offers the flexibility of shaving cordless or corded for uninterrupted operation. We were also pleasantly surprised that such a budget-friendly option included a pop-up trimmer on the side too. With its Pivot and Flex technology, it does a great job adjusting to the contours of your skin for a smooth and comfortable shave. Our only complaint is that this shaver is not suitable for wet shaving needs. 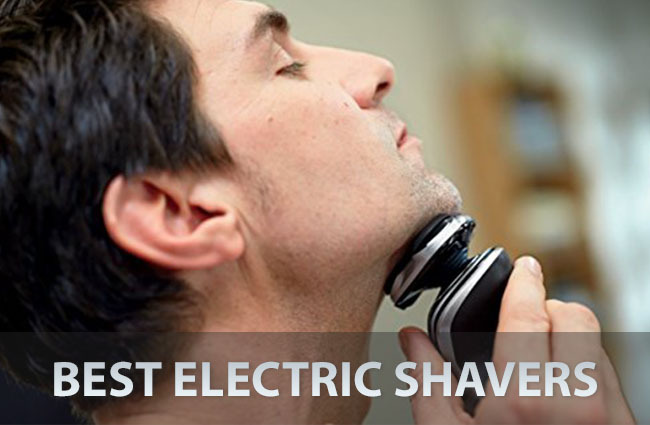 When looking for a low-cost electric shaver, there are many options to consider. Two of the most important being the shaver type and wet or dry compatibility. Fortunately, the products we reviewed likely have all of the most common shaving preferences covered. If there is a product you would like to recommend, tell us about it in the comments area.